How about a trip from Bhopal to Baran this season to savour the beauty of an ancient temple built amidst a meteor crater? Baran is one of the ancient settlements in the state of Rajasthan and is popular for its buildings, which register their origin back in the Medieval Period of India. It is said to have been formed by the Solanki Rajputs. However, later on it became a possession of the Mughal rulers, who constructed several forts and other buildings. If you are looking to learn in detail about this ancient town of Rajasthan which has everything under its arms, ranging from temples to forts, then you must embark on a journey from Bhopal to Baran now. Read on to know in detail about how to reach Baran and its places of interest. Located in the state of Rajasthan, Baran experiences an extreme type of climate and hence, summers are hot here. Hence, it is least visited during the summer season. However, if you love exploring ancient places, it can be visited anytime during a year. The best time for tourists to visit Baran is from October until the end of February. By Air: The nearest airport from Baran is located in Jaipur at a distance of about 330 km. From the airport, you can hire a cab to Baran. It will take you an average time of 6 hr to reach your destination from Jaipur airport. By Rail: Baran has its own railway station. Hence, you can take a direct train from Bhopal to Baran. By Road: Baran is well connected to nearby cities and towns by road. However, it is advisable to take route 1 as the roads are in proper condition and you can reach your destination within 6 h 30 min through this route. On your way, you can also explore the beauteous surroundings of Narsinghgarh. Narsinghgarh is located at a distance of about 240 km from Baran and 80 km from Bhopal and is believed to have been established during the 17th century by Dewan Parasram. It is popular amongst local tourists for Narsinghgarh Fort, which was the residence of the kings of Narsinghgarh State. Even though Narsinghgarh Fort is an abandoned building, it is still visited by hundreds of curious tourists and history lovers every year. Apart from this magnificent fort, you can also visit Bada Mahadev Mandir, Badi Hanuman Gadi, Nadiya Pani and Jal Mandir. Baran is located at a distance of about 320 km from Bhopal and hence, it is one of the preferable weekend getaways for history lovers, who love exploring offbeat ancient places. Known for its meteor crater, which houses its most popular temple, Baran is a beauty which deserves to be visited once in a lifetime. Even though there are no many places of interest here, Baran is still set to surprise you with its beautiful surroundings. Following are the place which you must visit while on a trip to Baran. Bhand Deva Temple is located inside the Ramgarh Crater on the banks of a small pond and is an ancient temple dedicated to Lord Shiva. It is also referred to as Little Khajuraho as it is resembles the Khajuraho monuments in Madhya Pradesh. It is believed to have been built during the 10th century by the kings of Nag dynasty of the Malwa region. Today, it has become one of the most frequented sites in Baran and is visited by thousands of tourists every year. The major festivals celebrated here include Kartik Poornima. Ramgarh Crater is certainly responsible for marking this ancient town on the national map. 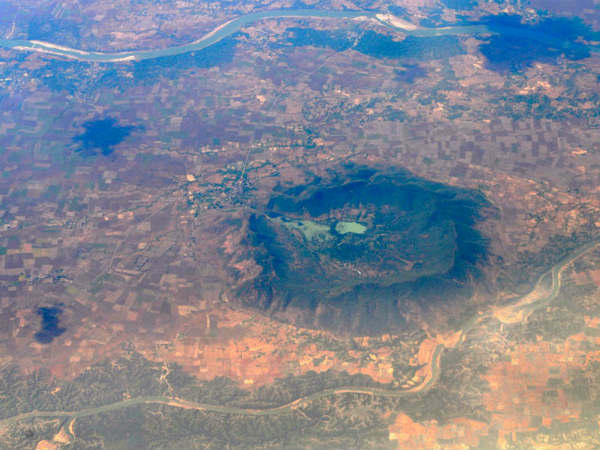 With 3.5 kilometres in diameter, Ramgarh Crater is believed to be formed by a meteor back in the ancient era of India. You must visit this monumental pit which is also home to the 10th-century Bhanda Deva Temple and a few other small buildings. Apart from above-given places, you can also visit certain other places which might interest you, such as Kali Sindh river, Parvati river, Sitabari Temple, Jodla Mandir and Jain Nasia Ji. Shahabad Fort, built by the Mughal rulers, is also one amongst the prime attractions in the Baran district. It is a must-visit site for a history lover.